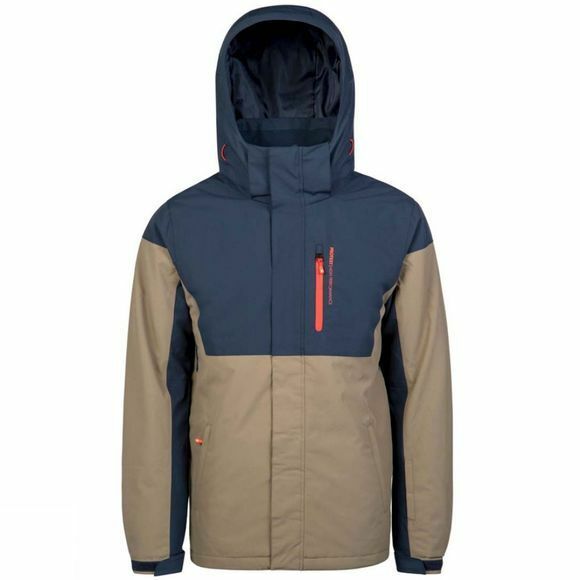 The Mens Rascal Jacket from Protest is part of the Geotech series, this fantastic ski jacket / snowboard jacket has 10.000 mm water resistance. This means that the fabric is waterproof on the outside and breathable on the inside. Featuring some fantastic colour blocking, the Rascal has ventilation zippers under the arms to allow for cooling when needed. The pockets on the main body are zippered to keep essentials safe and there’s a lift pass pocket on the arm with velcro closure. The hood is detachable. A must-have for your winter wardrobe, the Rascal by Protest.